I'm Thankful for Thanksgiving Giveaway!! Hi friends!! 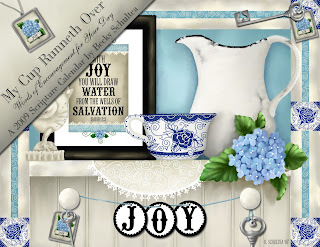 Well, in true Becky-style, I do not have the photos for the giveaway ready and we are leaving town shortly for the weekend - BUT - I am still officially kicking off the giveaway today and you are all welcome to participate!! (I just did not want to promise a date and not follow through again...ugh). I promise the prize package will be a great one!! So here's how it works - between now and Thursday November 13th at 5:00 PM Central Standard time, simply leave a comment on this post AND list at least one thing you are thankful for, and you will be entered to win!! Easy-peasy! 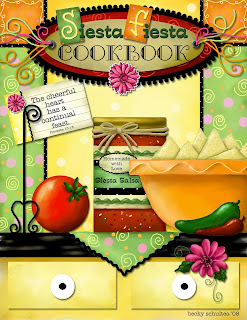 A Siesta Fiesta Cookbook - just in time for Thanksgiving meal planning! A set of notecards featuring the November artwork from the Calendar. I hope you'll participate in the giveaway, invite your friends, and even post about it on your blog if you'd like! I can't wait to celebrate God's many blessings with all of you! !